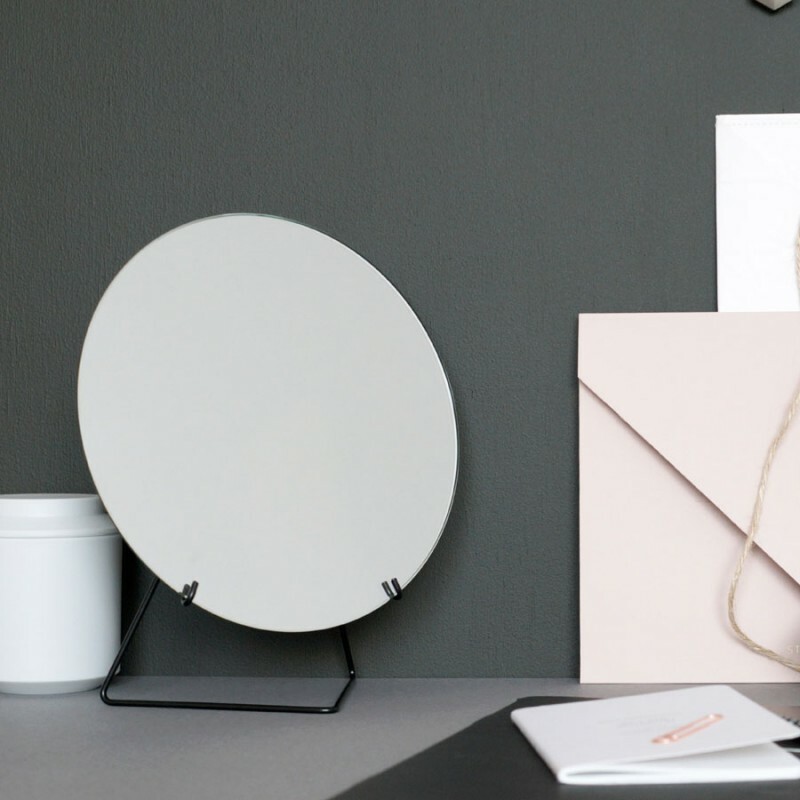 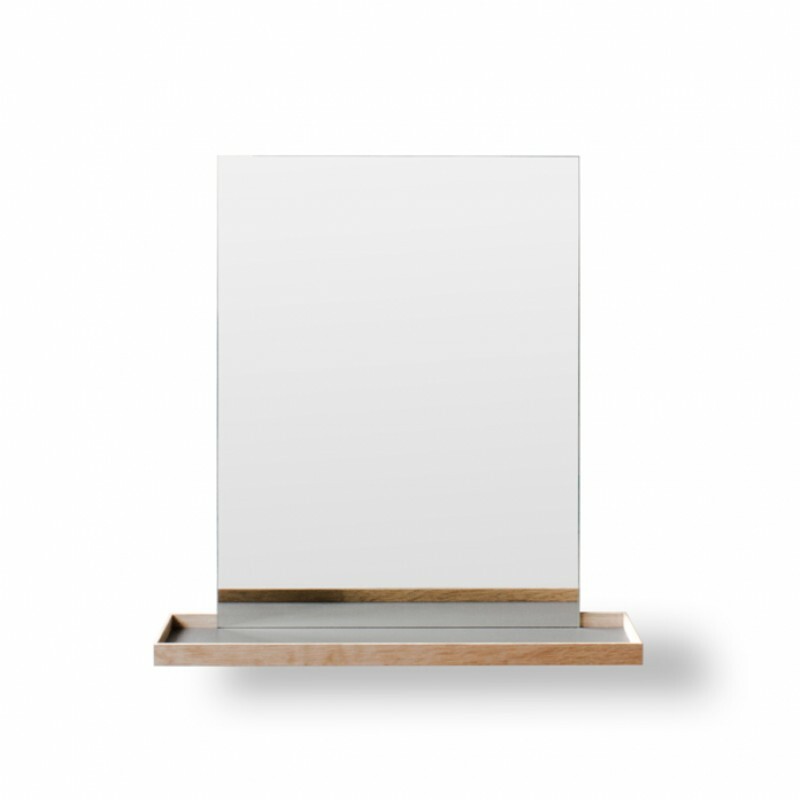 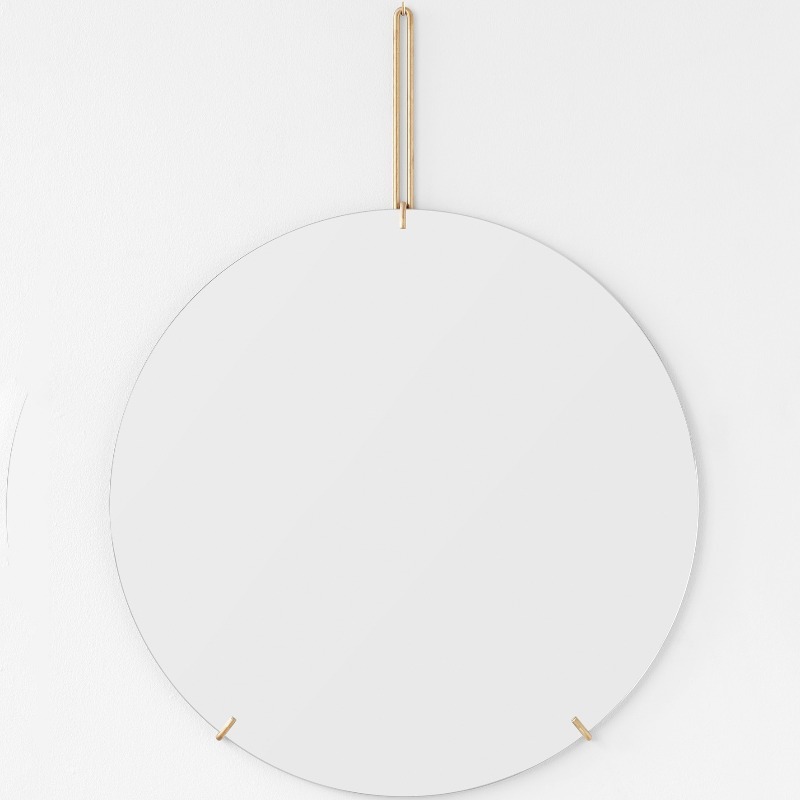 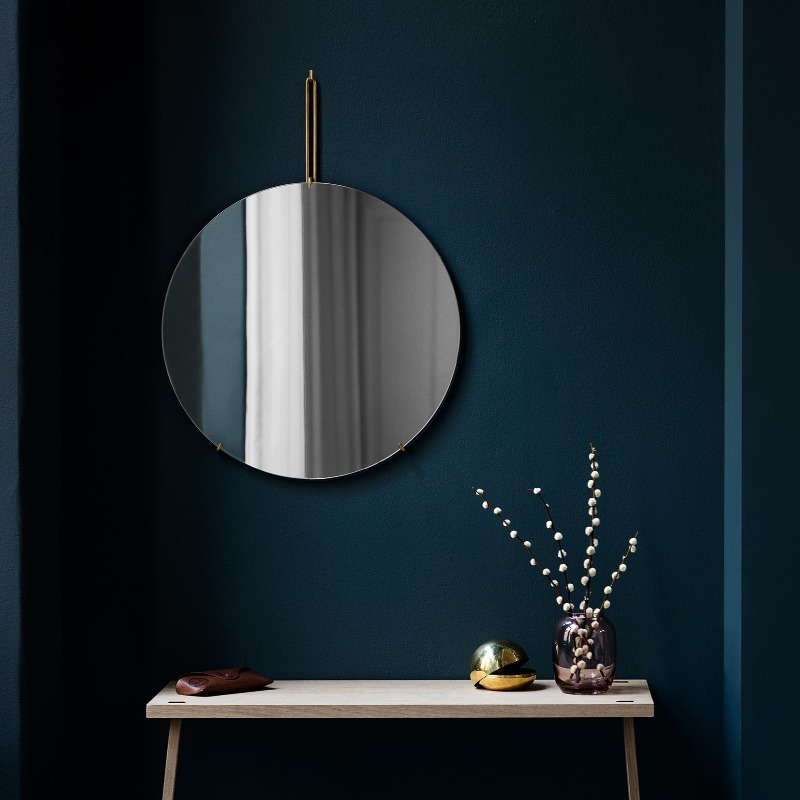 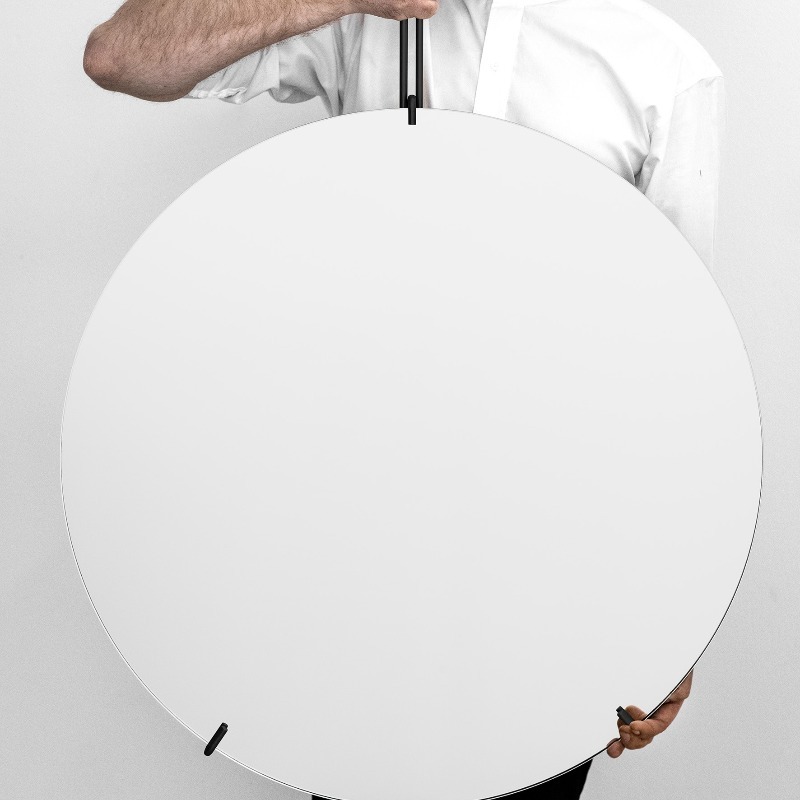 This contemporary round wall mirror is designed by the Danish company Moebe. 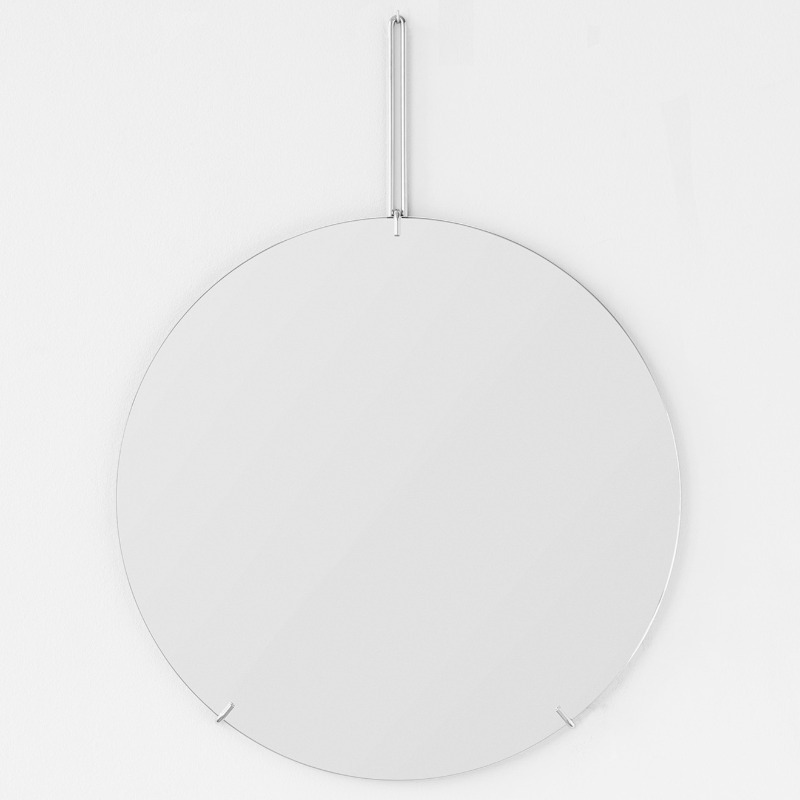 The round wall hanging mirror has been formed from a single piece of glass and is held by a lightweight metal wire. 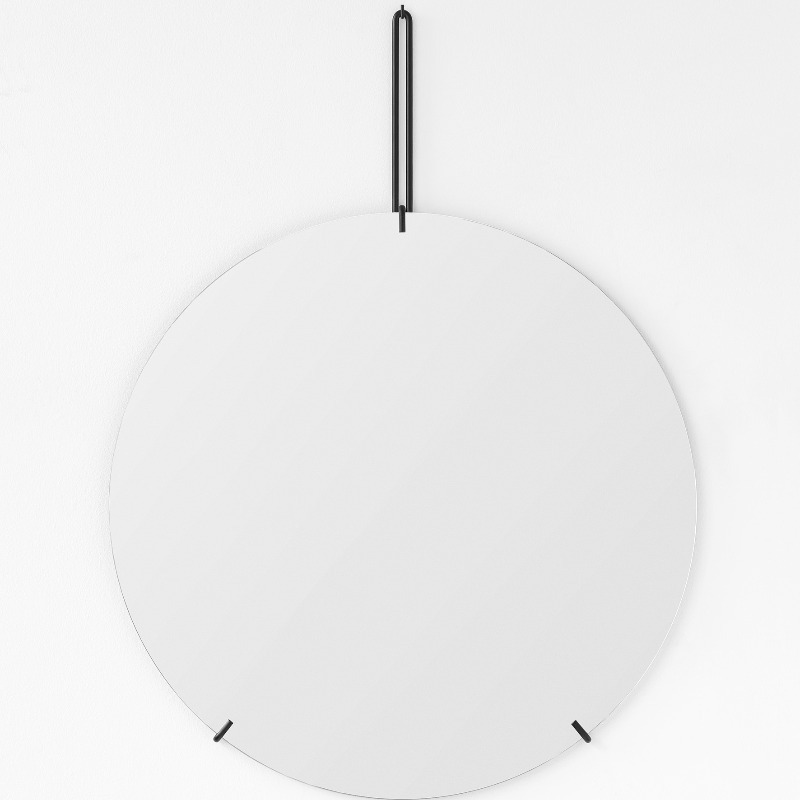 The contrast between the solid glass and the light frame is what makes this design its unique expression.